love this idea from martha stewart weddings' real weddings. jeanette and nicholas included this lovely detail in their wedding. 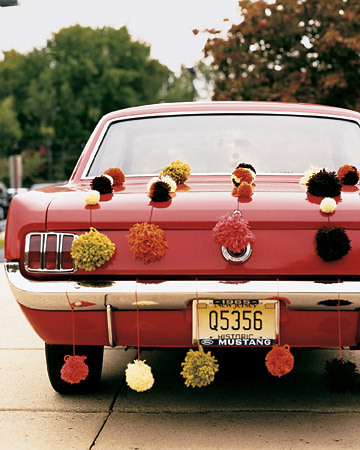 strings of handmade pompoms were tied to the groom's vintage car, in which the couple traveled from the ceremony to the reception.